The latest photo update by Photos Magiques provides several views from across the park on the latest construction, which has caused quite a stir as it suddenly injects a whole lot of “Hollywood” into a previously empty area. 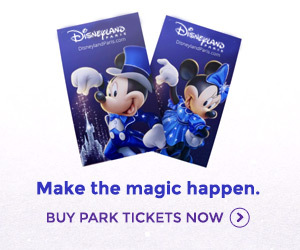 They chose the “placemaking” term well – when you see Sorcerer Mickey across from Hollywood Boulevard, the separate lands of Walt Disney Studios are finally obvious. This “new” version 2 of Paris’ second gate isn’t forgetting its past too quickly though, the first update today actually comes from La Terrasse. Our beacon of hope for a future Tower of Terror since 2002 — now due to live on as a food court, albeit in a rather daring (and very Art Deco) new colour scheme of mint green details and faded yellow edges. The first of the new landmarks — Studio Tram Tour‘s future entrance, the ‘Hollywood Hills Tunnel‘ — we spot from the area currently serving as the attraction’s entrance. The frame of the tunnel appears to be shaping up just like the design seen on the current park map, which has turned out to be an excellent and very accurate “placemaking guide” for any curious visitors. As one new landmark has risen, others are already receiving the smallest of details. A new photo update posted today by G-force on Disney Central Plaza forum shows one week of remarkable progress. The “Off the Page” tower now has a sandy-coloured base to its green spire, but the real star of the production is the building on the furthest edge of the development, still beating all others with its fast construction. The steel shell has begun to receive the first faux stone carvings on its façade, with the shape of its main window actually cut out of the thin walls — confirming once and for all that the inspiration here is indeed Disney-MGM Studios’ “Sweet Success” boutique. The “stick-on” edging and details show just how fake this Hollywood really is. But, fake it may be, those details speak for themselves. The size of the sets is also impressive, especially when put into perspective with the construction workers seen applying the façades in these pictures. However, the real “skyscrapers” can be found at the end of the boulevard — another two new landmarks, the First National Bank (on the left) and the Broadway Building apartments (on the right), nestled together either side of the Hollywood Hills Tunnel. The frames match exactly the designs seen on the current park map. As Photos Magiques spotted on the construction permit a few weeks ago, the tallest of the sets reaches a surprising 62ft tall, just 4ft short of the Earffel Tower! You might notice a difference between the tunnel and these two forced-perspective towers compared to the Gone Hollywood storefront in the foreground — they’re all painted a yellow-tinted magnolia, rather than left as bare steel. Which, when you think about it, makes it very likely we’ll continue to see at least part of these frames (likely from behind) once the façades have been applied. Photos by Photos Magiques (more here), and G-force on Disney Central Plaza (more here). Don’t forget — our new Hollywood Bouelvard guide provides a full layout plan of the entire project! @ Joris: I agree, the park really needs some nice restaurants. The pre-packaged food that is sold in Studio 1 is mediocre at best. Compare that to MGM-Studios — that park has some of the finest restaurants in Walt Disney World.